Photographer: Wesselman. Date: 1957-07-03. Reporter: Decker. Assignment: $25,000 fire on Harvard at 25th Street. 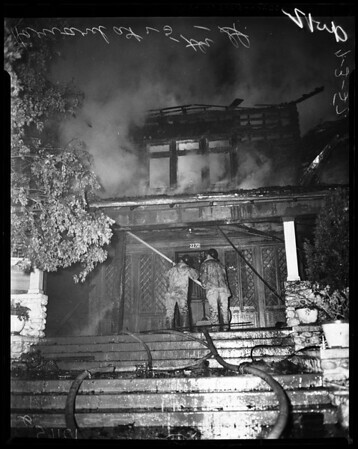 16/11/12: Scenes of firemen fighting flames in old mansion on corner of 25th St. and Harvard."